As amateur astronomers ourselves we know how difficult it can be to find perfect gift for astronomers. 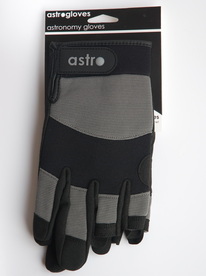 ​Astrogloves are the simple, affordable astronomy gift for the astronomer in your family. 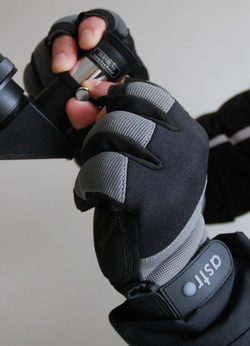 Astrogloves are semi-fingerless gloves that let astronomers change eyepieces, operate mount controls, tighten screws and clamps, operate cameras and use touch screen electronics all without having to take their gloves off. What better way to show you care than a gift that will keep their hands warm whilst outside on cold nights. ​Astrogloves are attractively packaged, durable and built to last and have quickly become the must have accessory for every astronomer's kit bag. They come in three sizes Small, Medium and Large so you can find the ideal fit you need to delight the astronomer in your family. So if you are looking for that special astronomy gift at a price that's right, you can't go far wrong with a pair of Astrogloves. Our Astrogloves have proved so popular with amateur astronomers they are now sold all over the globe from Northern Canada to New South Wales and we are delighted to have been able to share our innovation with astronomers around the world. We will deliver them free to you, wherever you are in the world. We are confident whoever you are buying them for, that they will love this astronomy gift as after trading for four years we have had zero returns! That's 100% satisfied customers. But if you do need to return them for any reason even if it's just to exchange them for another size just pop them back in the post to us, unused and we will refund or exchange them for you. No questions, no quibbling, no fuss. We are a family run business so I promise you a personal and speedy service.